Every now and then a concern or “canary in a coal mine” issue surfaces in our culture. Gretchen Bakke’s The Grid examines one that plays a major role in energy efficiency and its future: namely, the grid itself. Not surprisingly, over 100 years of use has taken a toll on the electricity grid in the United States. Transmission lines and stations are falling into disrepair while blackouts are becoming more frequent. There is also a history of monopolies and deregulation in the industry, causing more problems than solutions. Without intervention, the grid will only continue breaking down. So how can the energy industry help overcome those obstacles? Bakke recommends shifting energy into a more sustainable model. That’s where energy-focused sales professionals come in. Products like microgrid solutions, smart meters and storage solutions (“pumped hydro,” batteries) are not only the future, but also potential safety nets. Putting these offerings in the context of these issues is another way to pitch and promote efficiency. It also doesn’t hurt to educate ourselves about energy concerns that will impact our future. “A revelatory look at our national power grid--how it developed, its current flaws, and how it must be completely reimagined for our fast-approaching energy future. “America's electrical grid, an engineering triumph of the twentieth century, is turning out to be a poor fit for the present. 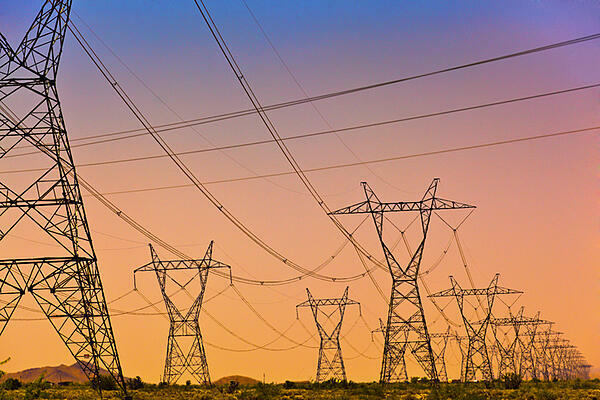 It's not just that the grid has grown old and is now in dire need of basic repair. Today, as we invest great hope in new energy sources--solar, wind, and other alternatives--the grid is what stands most firmly in the way of a brighter energy future. If we hope to realize this future, we need to reimagine the grid according to twenty-first-century values. It's a project which forces visionaries to work with bureaucrats, legislators with storm-flattened communities, moneymen with hippies, and the left with the right. And though it might not yet be obvious, this revolution is already well under way. “Cultural anthropologist Gretchen Bakke unveils the many facets of America's energy infrastructure, its most dynamic moments and its most stable ones, and its essential role in personal and national life. The grid, she argues, is an essentially American artifact, one which developed with us: a product of bold expansion, the occasional foolhardy vision, some genius technologies, and constant improvisation. Most of all, her focus is on how Americans are changing the grid right now, sometimes with gumption and big dreams and sometimes with legislation or the brandishing of guns.